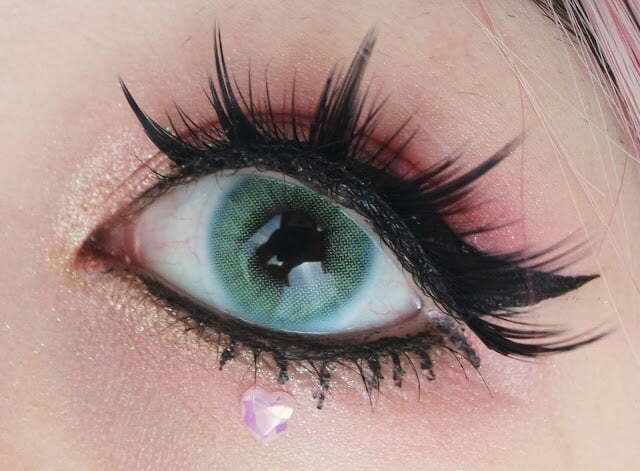 Sweety Lurve Blue green will stun you with how opaque yet light colored contacts they are. Usually, brown eyes over power colored contacts, especially when its light contacts. Sweety Lurve Blue green have incredible pigmentation. Although, they appear almost transparent at first; upon wearing they get brighter & noticeable. They help turning dark eyes lighter where the fusion of blue & green keep the impact very soft, subtle and natural. Try it to believe it.